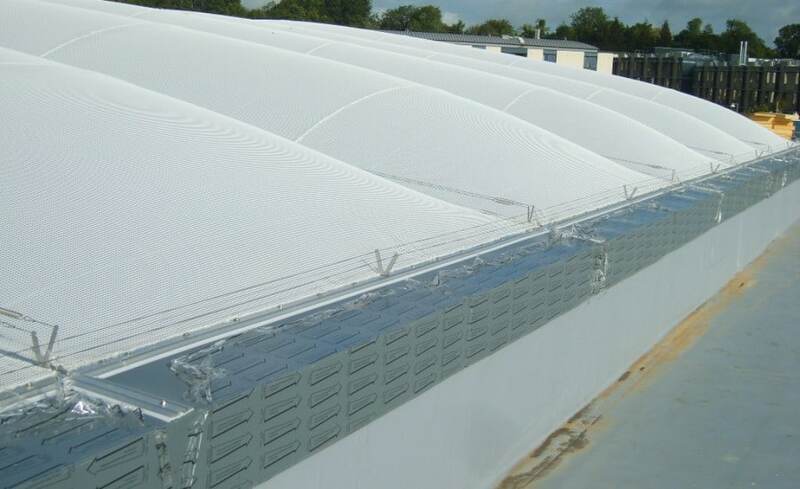 Here comes the rain again… An ETFE cushion filled with air looks and acts a bit like a drum. When rain falls on the outer surface of the cushion, a drumming sound can occur. In most instances, this sound is not an issue, but for some applications (such as over a library or a quiet work space), this may be a key design consideration. Our solution is the addition of Architen Acoustic. 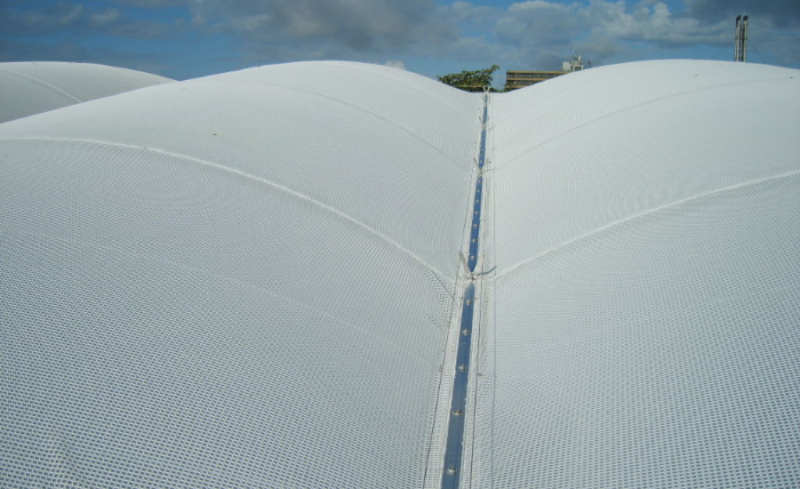 Architen Acoustic is a rain suppression mesh installed over the surface of the ETFE cushions. 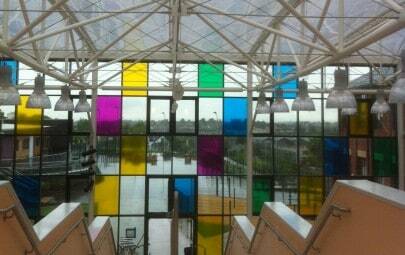 The fabric stops reverberation and it also absorbs some of the rain falling from the sky. 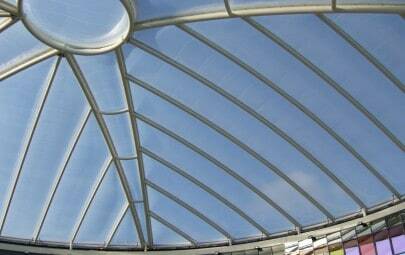 The result is a ‘drum free’ quieter space beneath the ETFE system. 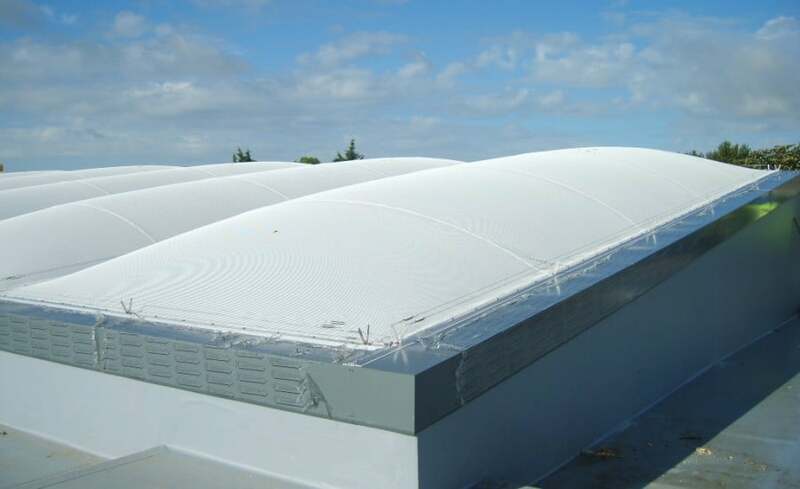 The addition of the rain suppression mesh reduces sound by up to 10 decibels. 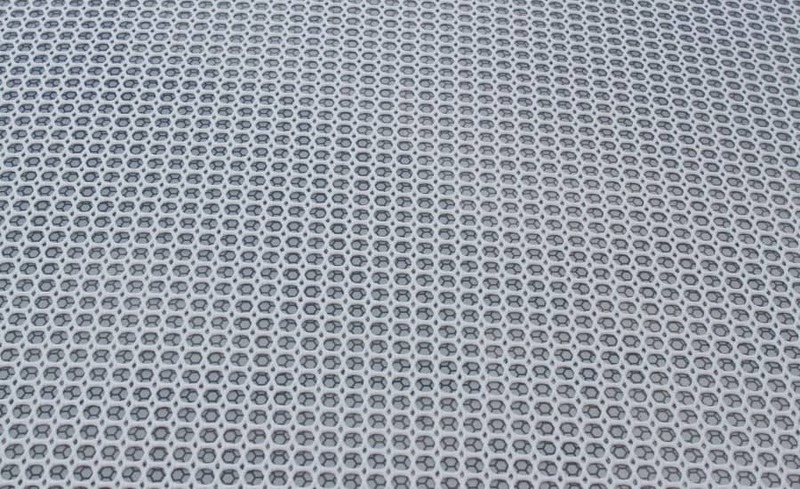 For more information on ETFE Foil, take a look at our Materials section. 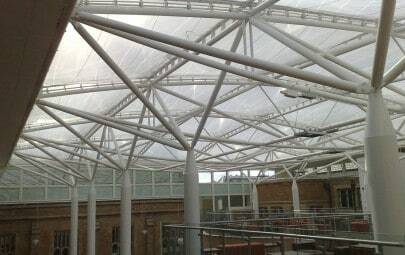 For bespoke projects or additional information, our experienced team will be happy to guide you through the specification of an Architen ETFE Acoustic System.